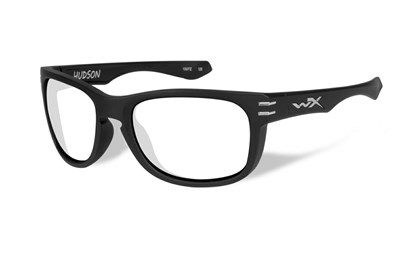 This matte black frame has a modern and sophisticated look with its pure lines, a new nose bridge profile and two silver markings on the outer of the frame front. This eyewear is perfect for a day in the city or a day in the harbor, where you want to be noticed. Since its establishment in 1987 Wiley X has been a global leader in the protective eyewear market supplying military forces and law enforcement personnel with top of the line ballistic eyewear. Realizing the need to protect your eyes also during leisure and sports, Wiley X is the only premium eyewear brand who tests its entire sunglass collection to both ANSI Z87.1 & EN.166 safety and optical standards. © 2019 Wiley X, Inc.